Our hearts go out to all who have been impacted by hurricane Harvey. As a provider of email messaging software and services, we understand that many businesses have lost communications infrastructure, including their email services, which for many, are the primary channel of communication with customers. 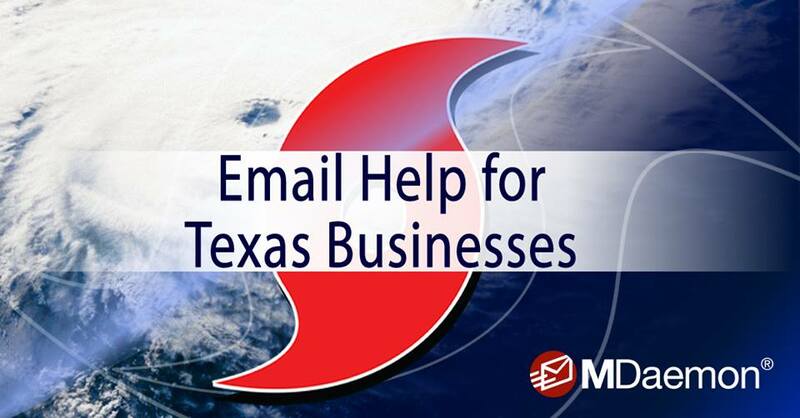 We want to help, so we are offering free, temporary email services for businesses who have experienced email disruptions due to Harvey. Next ›New Security & Collaboration Features for MDaemon 17.5!